NOOBS (New-Out-Of-the-Box-Software) is very easy way to get a Raspy up and running, and I have used it successfully in all my Raspy projects. Adafruit has a package with most of the parts available: https://www.adafruit.com/product/2817. 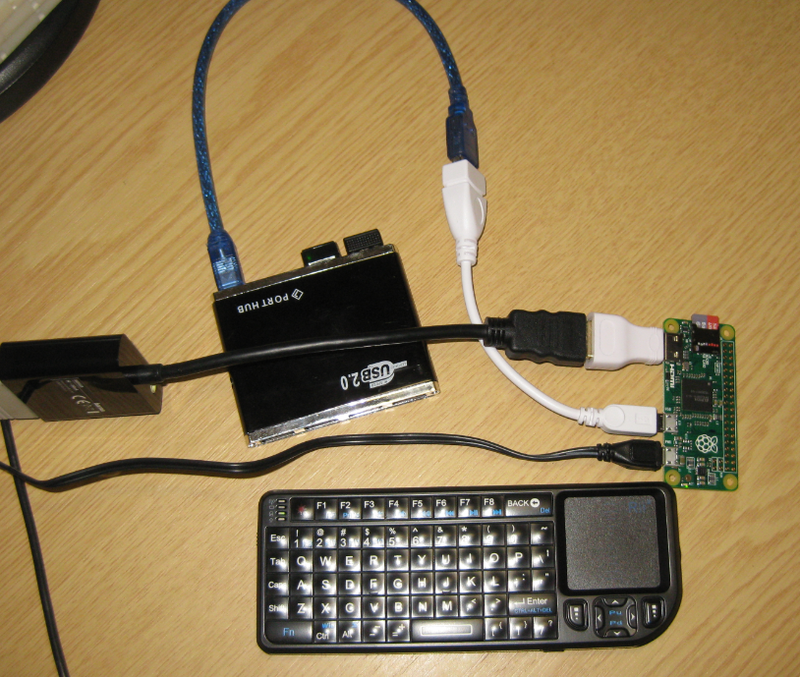 A HDMI-to-VGA adapter is something I use too for montors without HDMI input. 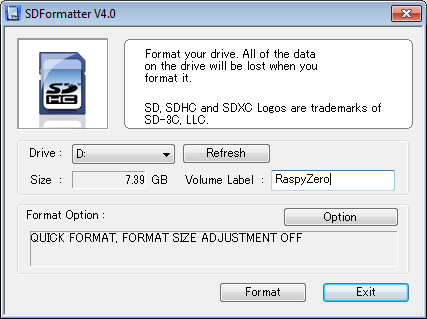 Use SD Formatter to format the micro SD card. Extract the content of the image/zip to the micro SD card. 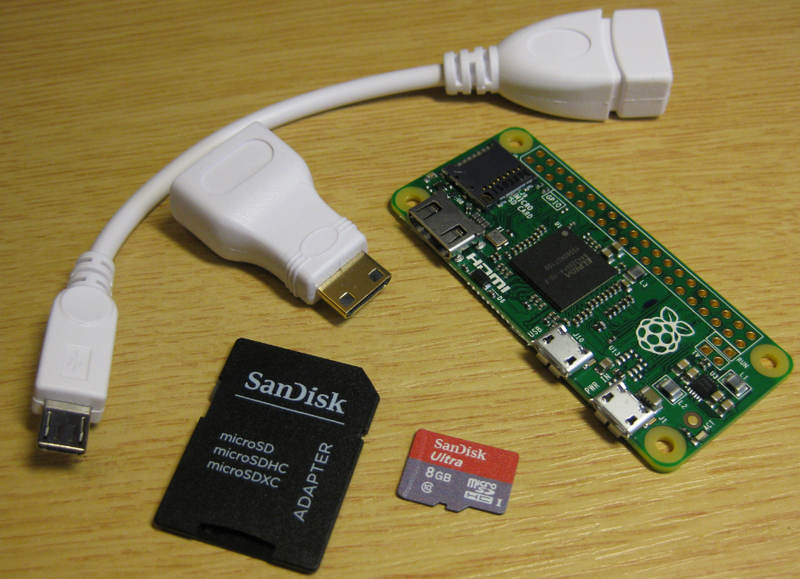 Setting up the Pi Zero is not much different from the ‘normal’ one. 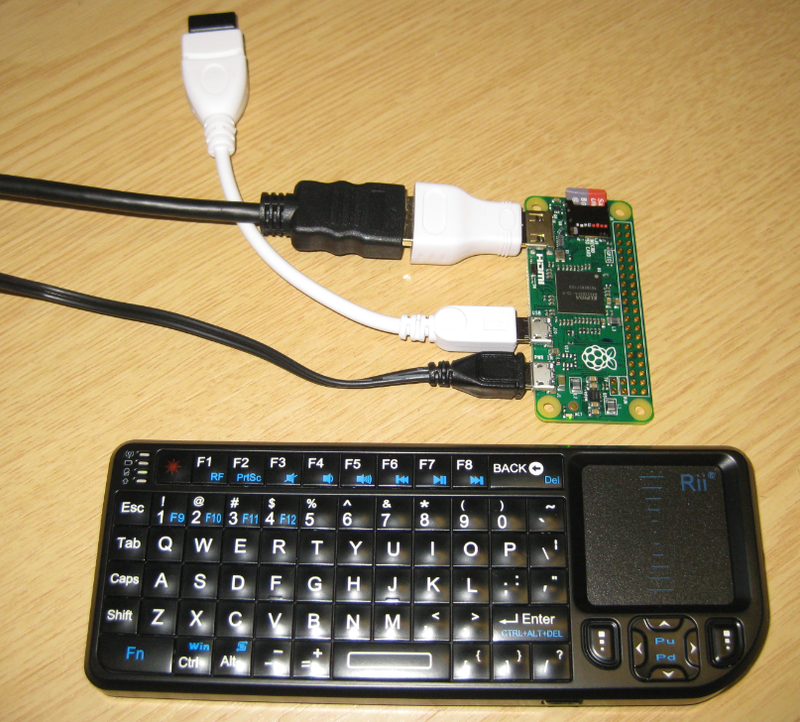 Having only one USB port requires a joint keyboard/mouse or using a hub. Would have been kind of cool if the Zero still would have the camera interface: that would make it a smart camera with a small form factor. For using the WiFi USB dongle I would need that anyway, or I have to disconnect the Keyboard/Mouse. That USB converter cable is kind of ugly because it kinds of destroys the coolness of this board. But I’m sure there will be soon some mini-adapter cables/dongles. 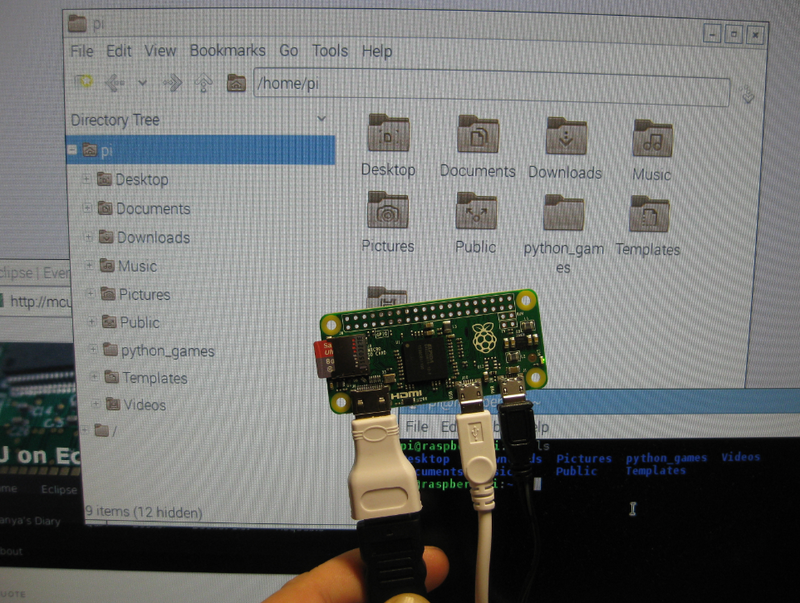 This entry was posted in ARM, Boards, CPU's, Raspberry Pi, Thoughts and tagged Raspberry, Raspberry Pi, Raspberry Pi Zero, technology, Thoughts by Erich Styger. Bookmark the permalink. The only problem, due to their size, is that they are easy to lose. Wow, that’s a cool tip! I even did not know that something like this exists, very cool! Raspberry Pi, DMA read and write functions similar to ARM? read (SPI, SCI, GPIO) and write (SPI, SCI, GPIO). has pin ( trigger_request ). I looked info in the manual but it was not clear to me. I’m sure it has that, but I have not used anything like this on that low level as on other ARM. With using a Linux a lot of the hardware is hidden behind the device drivers. You can use two usb port ? ?